Make Me Smart is a weekly conversation about the themes of today, centered around the economy, technology and culture. Hosts Kai Ryssdal and Molly Wood use their expertise to connect the dots on topics they know best, and hear from other experts – CEOs, celebrities, authors, professors and listeners – about the ones they want to know ... See More better. As the world moves faster than ever, this podcast is where we unpack complex topics, together. Because none of us is as smart as all of us. The economy & politics – from waaaaay outside the beltway. 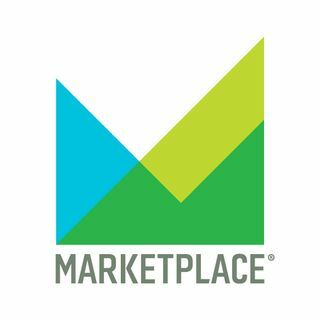 Marketplace looks at what matters most to Americans, and why the frame of "insiders vs. outsiders" says more than the stale divisions of "left vs. right" and "big government vs. small." From American Public Media. Visit Marketplace.org for more, ... See More or find us on Twitter, we're @marketplace. You know how every day someone asks "how are you?" And even if you’re totally dying inside, you just say "fine," so everyone can go about their day? This show is the opposite of that. Hosted by author and notable widow (her words) Nora McInerny, this is a funny/sad/uncomfortable podcast about talking honestly about ... See More our pain, our awkwardness, and our humanness, which is not an actual word. From American Public Media. A show about clinical depression...with laughs? Well, yeah. Depression is an incredibly common and isolating disease experienced by millions, yet often stigmatized by society. The Hilarious World of Depression is a series of frank, moving, and, yes, funny conversations with top comedians who have dealt with this disease, hosted by ... See More veteran humorist and public radio host John Moe. Join guests such as Maria Bamford, Paul F. Tompkins, Andy Richter, and Jen Kirkman to learn how they’ve dealt with depression and managed to laugh along the way. If you have not met the disease personally, it’s almost certain that someone you know has, whether it’s a friend, family member, colleague, or neighbor. Depression is a vicious cycle of solitude and stigma that leaves people miserable and sometimes dead. Frankly, we’re not going to put up with that anymore. The Hilarious World of Depression is not medical treatment and should not be seen as a substitute for therapy or medication. But it is a chance to gain some insight, have a few laughs, and realize that people with depression are not alone and that together, we can all feel a bit better. American Public Media and HealthPartners’ Make It Okay campaign are committed to breaking the stigma around mental health. American Public Media's The Splendid Table is public radio's culinary, culture, and lifestyle program that celebrates food and its ability to touch the lives and feed the souls of everyone. Each week, award-winning host Francis Lam leads listeners on a journey of the senses and hosts discussions with a variety of writers and ... See More personalities who share their passion for the culinary delights. Updated every Friday.